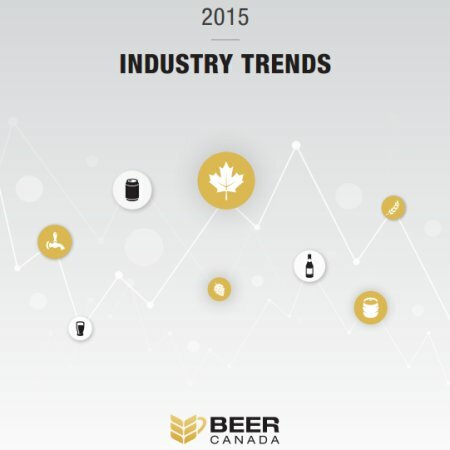 Canadians consumed 22,707,133 hectolitres (hL) of beer last year, with 84% of it being domestically produced. Domestic beer sales increased 0.2% compared to 2014, while imported beer sales increased by 4.5%. There were 644 licenses breweries operating in Canada at the end of 2015, an increase of almost 108% since 2010. Cans are becoming an increasing popular packaging format, now holding a 54.7% share of the domestic beer market – an increase from 51.1% in 2014. Bottle sales dropped from 39.7% of the market to 35.4%, while draught remained unchanged. For more details, see the full bulletin on the Beer Canada website.